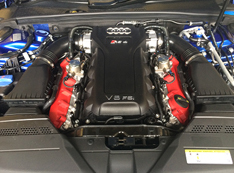 So you’ve perfected and spent hours on the outside of your car, but what about the engine bay? Although this is an area that is not seen very often unless you attend lots of shows and have done numerous modifications it may be unlikely that you have ever cleaned the engine. Your view could be that as it has lots of intricate parts it will take a long time to clean or you’re perhaps concerned about having an adverse effect on the electrics so to be honest it gets overlooked. In this guide we show you that you can clean and protect it safely with the minimal effort and time. One of your main concerns is how will water affect the electrics and other parts within the engine bay as generally speaking the two do not go well together, this can be a reason for not tackling this particular job and strictly speaking you would be right in most circumstances. As long as water is not physically taken within the engine or electrical contacts are not completely saturated then you will not cause any issues. These contacts have to be safe from the environment to start with otherwise every time it rains then your car would not work and considering our British weather we wouldn’t get very far would we! Therefore this means that you can safely use a hose or a pressure washer (if it has a valve to vary the pressure) within reason without causing any major issues. Water on its own isn’t sufficient to remove the grease and grime that can build up in the engine bay and you need assistance to help remove these. The market now offers a wide range of degreasing products that are environmentally friendly and safe for you to work with. As well as the water and the degreasing product you will need a little elbow grease (excuse the pun!) to agitate the engine bay and leave to work its magic for a period of time. As with all the areas we discuss about detailing your car, preparation is the key so conducting a through clean of the area is required to obtain an outstanding finished product. Once the area has been cleaned to your satisfaction you will need to dry it and finally protect it. Not only does this protection prolong the life of the plastics, rubbers, metal and painted surfaces it also means that future cleaning is much easier and less time consuming. 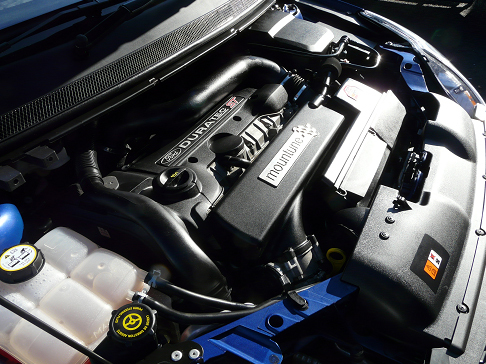 The majority of surfaces found in the engine bay can be protected with existing products that you should have in your kit because they can be found on other areas of the car, so this makes it quite a cost effective job to complete. 1) Park the car in a shaded area if possible. 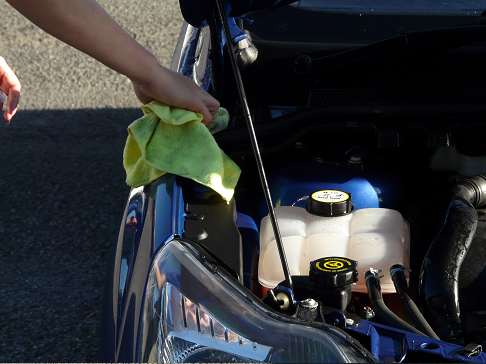 On opening the bonnet make sure that the engine itself is cool as you should never work on a hot engine, because the cleaning products you will be using will dry out too quickly leaving marks and you also have the danger of burning yourself. 3) Looking over the engine if you feel that there are any sensitive electrical parts then you are best off covering them for your piece of mind and welfare of the engine. 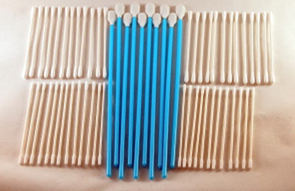 These parts can be covered either with cling film or tin foil which cannot harm the components and are easily moulded around the parts to protect them. 4) After fully completing the above steps you are ready to start cleaning. Using a suitable bottle of degreaser and following the instruction on the brands particular dilution rates. 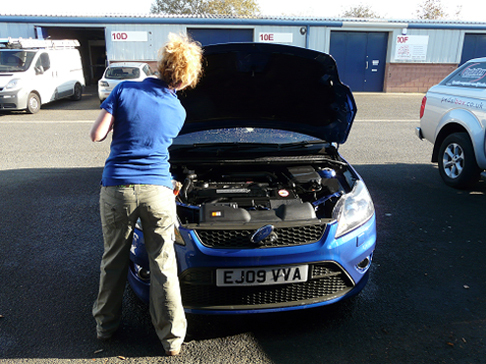 Spray liberally and evenly over the engine and the underside of the bonnet as this area also gets quite dirty. If you are only detailing the engine bay at this time then be careful not to get the degreaser on the external paint of the car as it is quite strong and more than likely will strip any existing protection that you may have previously applied. 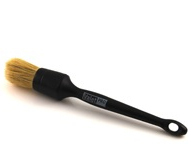 5) Using a small soft detailing brush you need to agitate all the areas paying particular attention to parts that are heavily contaminated with grease. Once you have worked your way around leave the degreaser on for approximately 10 minutes or as per the instruction on your degreaser dictate so as to work in and break down the grease particles. 6) Having waited the desired time now comes the rinsing. If your pressure washer has a valve to alter the pressure enabling you to reduce the pressure to the lowest setting then this is suitable if not then a normal hose that you can attach a sprayer to and set it so that it can have a wide fan is the correct way to rinse off. Check beforehand that it is not too high before hovering over the engine bay as once again you do not want to force water into any sensitive parts. Use the least water possible to rinse of the degreaser suds. 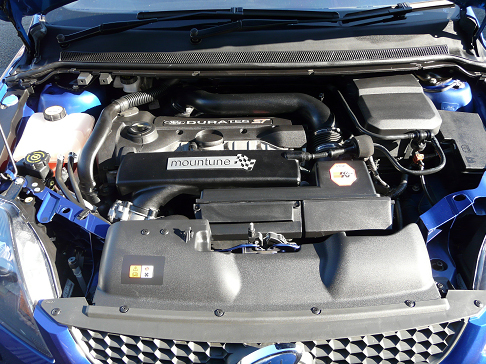 7) Drying the Engine Bay – it is now safe to remove any covers you originally added before starting. If you wish to assist in the drying process you can start the engine to help with those areas that you cannot reach easily by hand but do not allow the engine to become too warm as this can have an adverse effect on the protection products you will be applying next. Once the engine has ran for several minutes you can complete the drying by using several microfibre cloths and this is easier in perhaps areas where the water has pooled. 8) If you still find that you have small areas that the cleaning has not removed then you can use small detailing sticks dipped into the degreaser to get into these nooks and crannies. 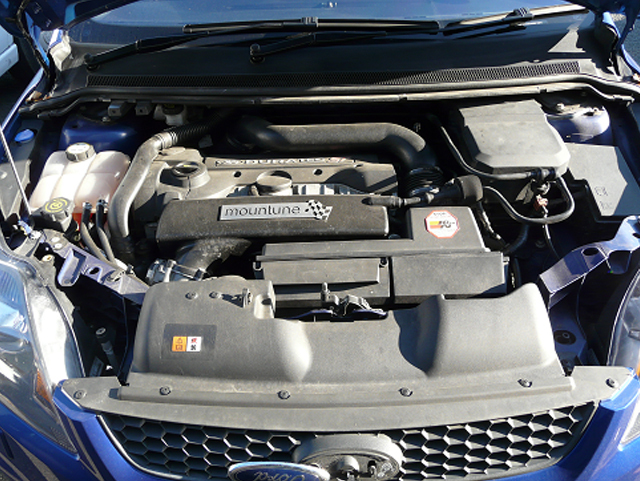 9) As the engine bay is now completely clean and dry you can start the dressing process. There are products on the market specifically designed to withstand high temperatures that can be experienced in this areas or you can use existing waxes or sealants of your choice for painted areas; existing trim products for the plastics/rubbers and metal polishes from you exhaust for any metal areas.